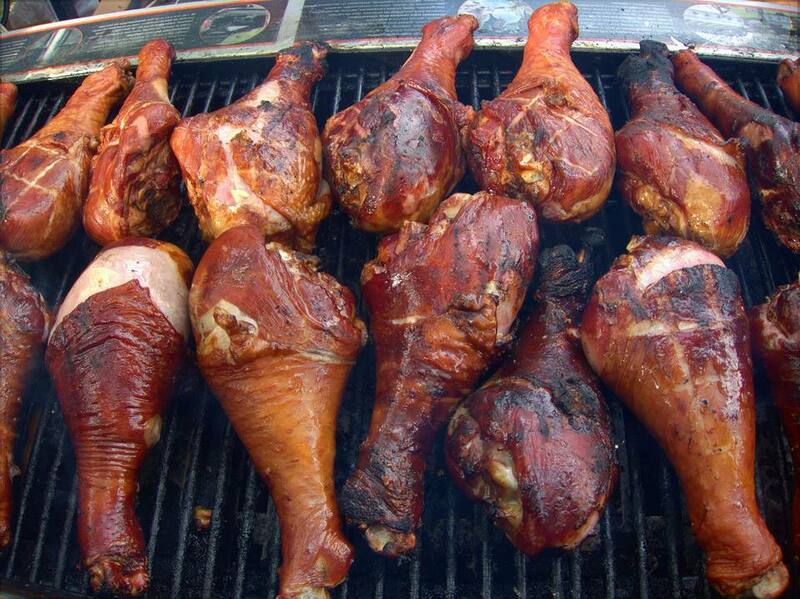 These turkey legs are slow-roasted on the grill making them tender and moist. Make sure the rub gets under the skin to add flavor and allow it to sit for a long enough to blend with the natural juices of the bird. Combine the mustard, Worcestershire sauce, vegetable oil, salt, onion powder, and black pepper. Rub over the surface of the turkey legs, trying to get it under the skin as much as possible. Place legs in a resealable plastic bag and refrigerate for 2 hours to overnight. Preheat the grill. Place turkey legs on medium hot grill with the ends away from the hottest part of the grill. Cook for about 45 minutes over medium heat or until done, when the internal temperature reaches between 165 to 175 F/75 to 80 C and the juices run clear. Make sure to to turn them occasionally during cooking process to avoid burning. Once cooked, remove from heat, and serve.